SkySparc, an independent solutions provider, has appointed Rebecca Ericsson Birck as the firm’s first full-time chief financial officer. Stockholm, Sweden, March 13, 2019 --(PR.com)-- Ericsson Birck will work closely with CEO Joakim Wiener and the SkySparc executive team to implement the firm’s strategy to achieve business expansion and profitable growth. Ericsson Birck was most recently head of corporate control at Attendo, a leading provider of healthcare services in the Nordic region, where she has also previously served as interim CFO. 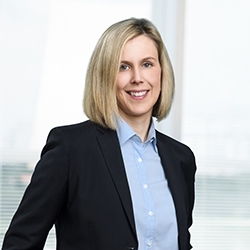 She also has a background as an IFRS specialist at Swedish power products manufacturer Husqvarna Group, and as an auditor at PwC in Malmo and Stockholm. “Joining SkySparc provides me with an exciting opportunity to work with a highly committed and professional executive team to deliver on an ambitious global growth strategy,” said Ericsson Birck.